A special movie tie-in edition of R. J. Palacio's #1 New York Times bestseller, now a major motion picture starring Julia Roberts, Owen Wilson, Jacob Tremblay, Daveed Diggs, and Mandy Patinkin. Over six million people have fallen in love with Wonder and Auggie Pullman, the ordinary boy with the extraordinary face, who inspired a movement to Choose Kind. Audie Award Nominee, Children's Titles for Ages 8-12, 2013 August (Auggie) Pullman was born with a facial deformity that prevented him from going to a mainstream school - until now. He's about to enter fifth grade at Beecher Prep, and if you've ever been the new kid, then you know how hard that can be. The thing is Auggie's just an ordinary kid, with an extraordinary face. But can he convince his new classmates that he's just like them, despite appearances? 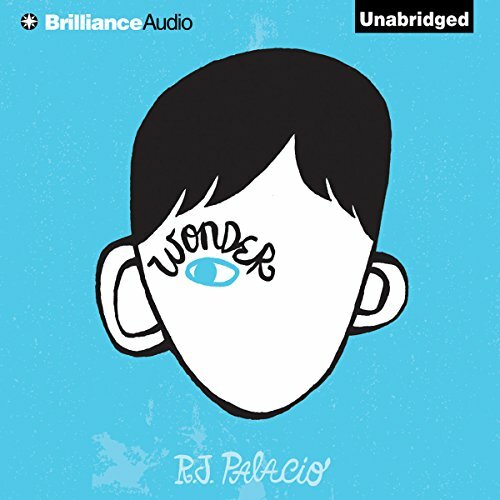 R. J. Palacio has crafted an uplifting novel full of wonderfully realistic family interactions, lively school scenes, and writing that shines with spare emotional power.